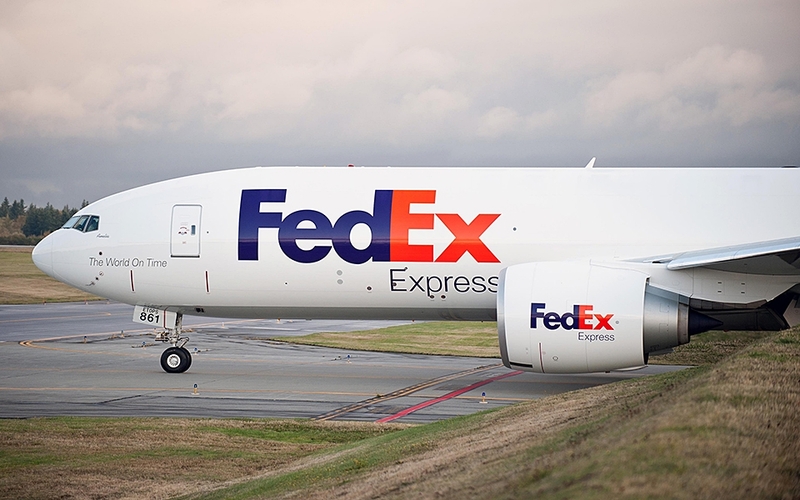 FedEx Express, the world’s largest air cargo carrier, has placed a new order for 12 767 freighters and 12 777 freighters. The new airplanes are valued at US$6.6 billion ($8.8 billion Canadian) at list prices. “We are taking another positive step in our fleet modernization program as we add more efficient, lower emission aircraft to our global fleet,” said David Cunningham, president and CEO of FedEx Express. Describing the benefits to FedEx of both the 767 and 777, Cunningham in particular points to the how the range characteristics of the 777 have allowed FedEx to achieve faster worldwide transit times. FedEx Express explains its new Boeing order comes as the air cargo industry continues to gather strength, noting a year after demand grew by nearly 10 per cent, global air freight is on track to increase by another four to five percent in 2018. With the latest order from FedEx Express, Boeing has sold more than 50 widebody freighters in 2018. “We are honoured that FedEx has again placed its trust on the wings of the Boeing 767 and 777. This repeat order is a big vote of confidence in Boeing’s market-leading freighter family and the long-term outlook for air freight,” said Kevin McAllister, president and CEO, Boeing Commercial Airplanes. FedEx Express describes itself as the largest operator of the 767 Freighter and 777 Freighter. FedEx is also a customer of Boeing’s Global Services business.